we like to say THANKS to all the competitors for their fair play, their high level, their patient with us and their nice spirit ! we like to say THANKS to the nice people of Mirleft and all the provence of Sidi-Ifni for their unconditional collaboration with our project from the beginning. we like to say THANKS to the governor of Sidi-Ifni and the president and vice-president of the commune of Mirleft for their help. 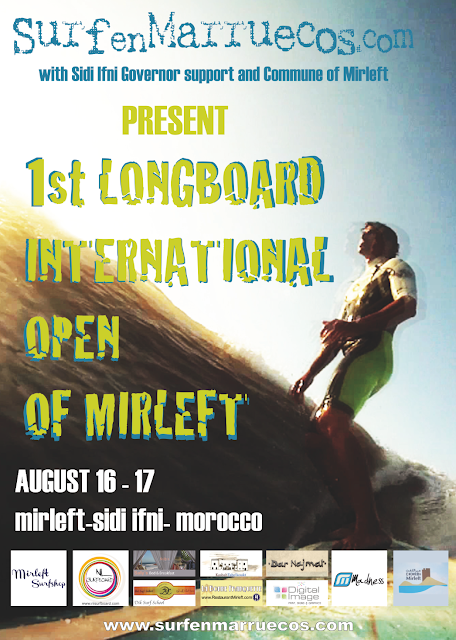 and we like to invite everybody to the 2nd LONGBOARD INTERNATIONAL OPEN OF MIRLEFT 2014 !!!!! THIS EVENING PARTY WITH THE WINNERS OF THE CONTEST AT THE BEACH OF IMINTOURGA. WE MEET TOMORROW FRIDAY 16TH AT MIRLEFT SURF SHOP AT 8H TO MAKE THE INSCRIPTION AND AT 10H WE START THE CONTEST !! PRIZES FOR THE WINNERS ! PRESENTS FOR ALL THE COMPETITORS ! BEST SURF MAGAZINES & LONGBOARD CLUBS RECOMMEND ! Waiting for the winner of the 1st LONGBOARD INTERNATIONAL OPEN OF MIRLEFT 16th & 17th of august 2013 !! 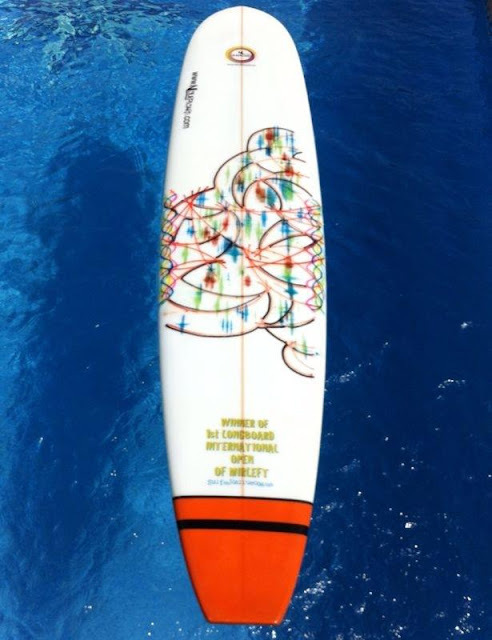 exclusive pro - model designed and shaped by N.L.Surfboard ! exclusive longboard from N.l. Surfboard to the winner of the 1st LONGBOARD INTERNATIONAL OPEN OF MIRLEFT 16th & 17th of august 2013.
more prizes for the 2nd and 3rd and lot of presents for the competitors !